...Within moments, her clarity of phrasing and vocal agility were drawing startled reactions from the audience. 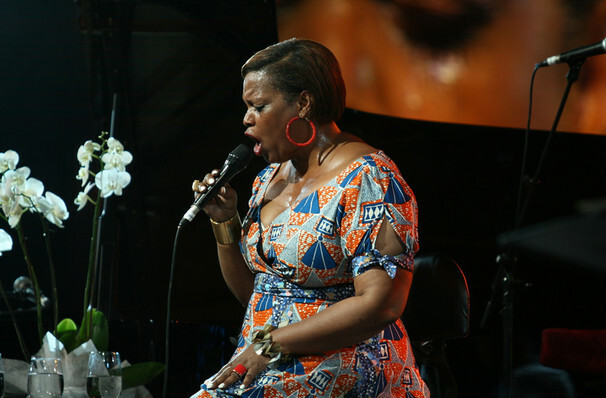 American jazz songstress Dianne Reeves is often hailed as the successor of Sarah Vaughan, Dinah Washington, Carmen McRae and Ella Fitzgerald's operatic-jazz legacy, and is widely respected as one of the top performers to ever have come out of the smooth-jazz-pop-fusion of the late 80s. Don't miss the five-time Grammy Award winner as she hits the road with her inimitable voice, old school charm and magnetic stage presence. Reeves may be the pre-eminent female jazz vocalist in the world, but the performer certainly doesn't rest on her considerable laurels, opening her music up to a wider world by infusing her music with the sounds of Africa, Latin America and the Caribbean. At home on the stages of Ronnie Scott's, the Monterey Jazz Festival and concert halls around the world, the diva commands each one of them with astonishing interpretations of songbook standards and pop classics, filled with her soaring falsetto, rich lower register and passionate, earth-shaking performances. Sound good to you? 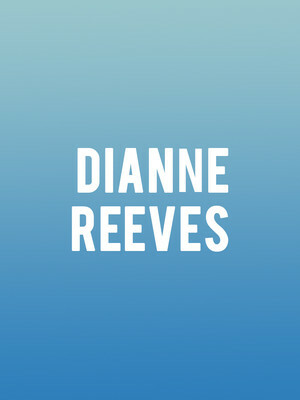 Share this page on social media and let your friends know about Dianne Reeves at Mccarter Theatre Center. Please note: The term Mccarter Theatre Center and/or Dianne Reeves as well as all associated graphics, logos, and/or other trademarks, tradenames or copyrights are the property of the Mccarter Theatre Center and/or Dianne Reeves and are used herein for factual descriptive purposes only. We are in no way associated with or authorized by the Mccarter Theatre Center and/or Dianne Reeves and neither that entity nor any of its affiliates have licensed or endorsed us to sell tickets, goods and or services in conjunction with their events.